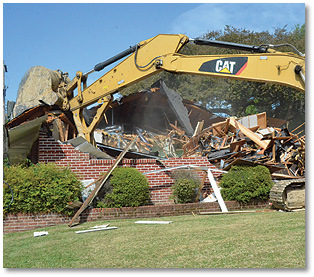 ribbon cutting for a new student center included the demolition of an unoccupied house that sat along Hearthstone Drive across from the school. 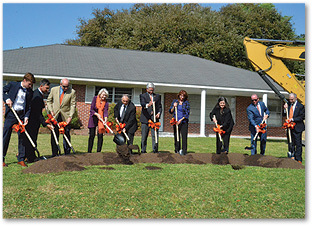 The 32,000 square- foot facility, which will be named in memory of Brother Donnan Berry SC, will include a dining and kitchen area, a seminar room, four classrooms and study rooms, a campus ministry center, a student commons area featuring an outdoor student pavilion, a large conference room, an outdoor terrace and a faculty work center. The $14 million project is expected to be completed by summer 2021.